“Don’t Cry For Me, Argentina” in salsa? I don’t know much about this group; it’s definitely not Eddie Palmieri’s La Perfecta. Recorded in Caracas, and with song names that look like papiamento to me (Christa, are you reading this? Can you confirm? 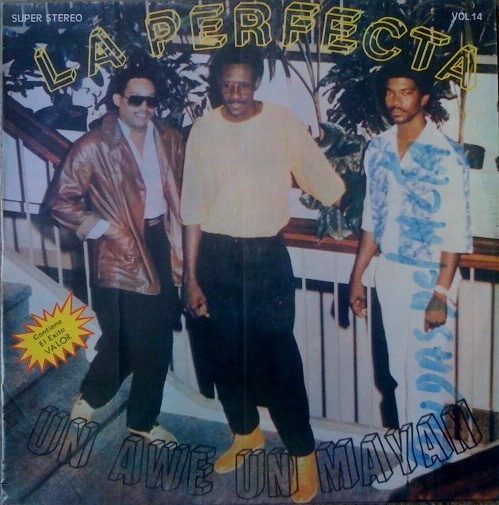 ), I’m guessing this “La Perfecta” is actually from Surinam. Don’t judge a group by its synthesizers; this song swings hard! This entry was posted in PELANGA RECORDS! and tagged La Perfecta, Salsa, Surinam by Papicultor. Bookmark the permalink.